Executed by the workshop of Ferdinando Hamerani, Italian (active Rome), 1730 - 1789. 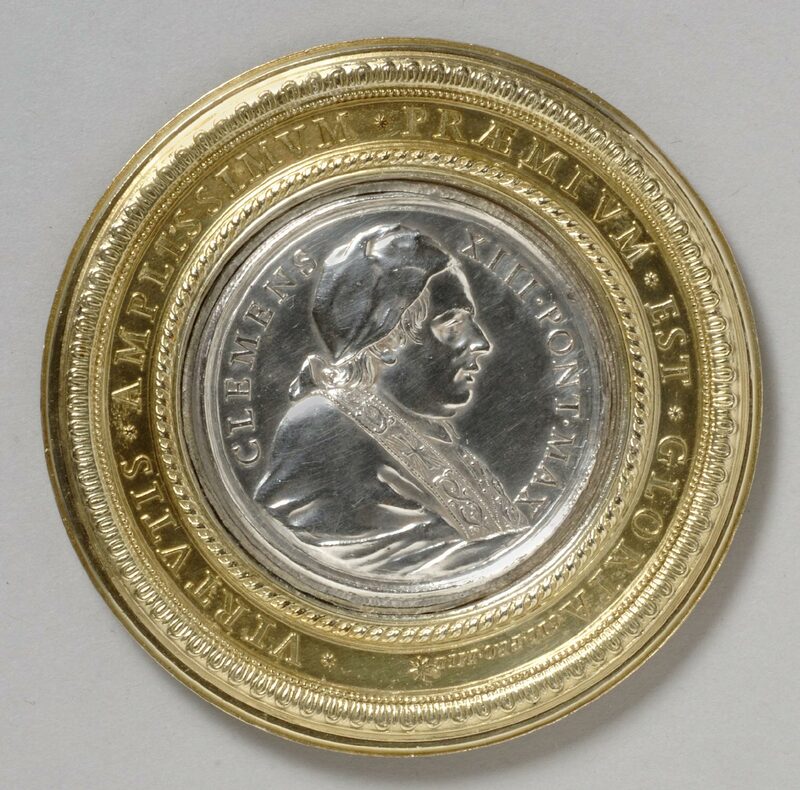 Obverse probably by Ottone Hamerani, Italian (active Rome), 1694 - 1761. Reverse by Giovanni Martino Hamerani, Italian (active Rome), 1646 - 1705. 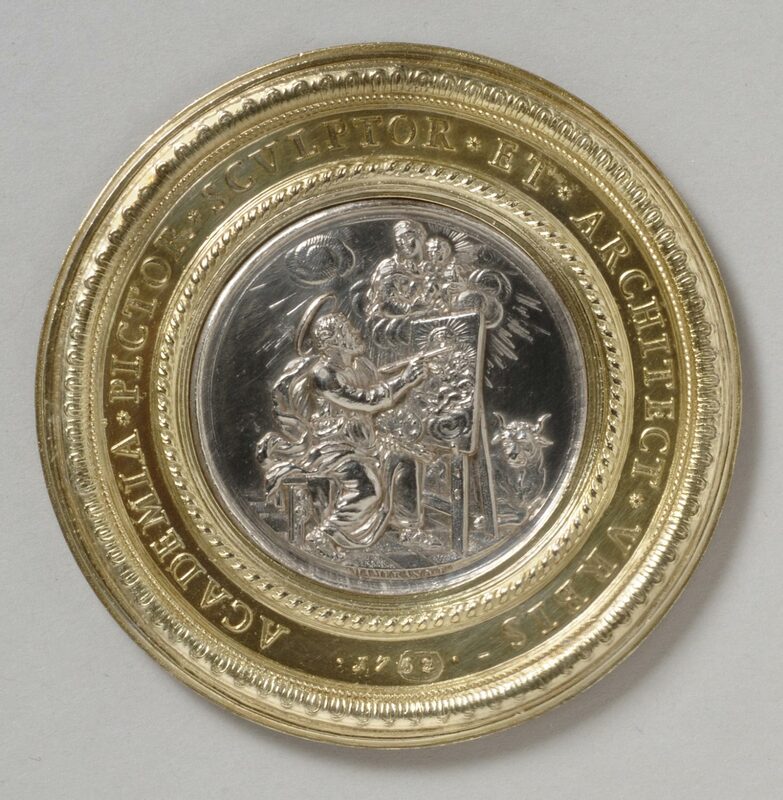 The Accademia di San Luca in Rome awarded this medal to a winning student in its painting, sculpture, and architecture competition.